Would you like to receive FREE Learning activities for your classroom or therapy room? By opting into the "Pay It Forward, We Give Back" Wish List program on AutismEducators.com, I understand that I will follow, to the best of my ability, the "Pay It Forward" concept by helping another teacher, therapist, or home-school educator of my choosing, by purchasing a minimum of one product available on another Teacher's Wish List on AutismEducators.com and donating it to that teacher. 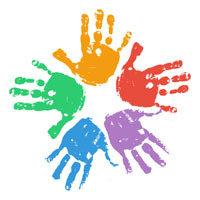 In return, Autism Educators, Inc. will "Give Back" by crediting the same amount of dollars which will be immediately deposited back into my account as credits to use for purchase of any item offered on AutismEducators.com for my own classroom or therapy room. Credits received into my account as part of the "Pay It Forward" program are not redeemable for cash payment. In essence, I understand that for whatever product I donate to help students learn more effectively, the full dollar amount listed at the time of purchase will be given back to my account. I will be helping a student AND getting my money back! All credits earned to my account must be used by December 31st of each calendar year, unless notified otherwise. All items on another Teacher's Wish List are eligible to receive credit back to my account EXCEPT when I pay for an item in full OR in partial with store credit. Store credit may be used to purchase items from another Teacher's Wish List, but I understand that I will not receive additional credit in return after my purchase. Once my store credit is used to purchase items for my own classroom or therapy room, I can start the cycle of "Paying It Forward" again, which will allow me to earn more credit. When I add products to my cart from another Teacher's Wish List, my Shopping Cart page will display the amount of credit I will receive in return. If I have any questions, I will contact DSinger@AutismEducators.com or TechSupport@AutismEducators.com. I understand that if I choose to discontinue my participation in the "Pay It Forward" AutismEducators.com Teacher's Wish List program, I may remove my wish list at any time without penalty. All unused credits previously earned will remain in my account up until the end of the calendar year. If a contributor or contributors have purchased items from my "Pay It Forward, We Give Back" Teacher's Wish List on AutismEducators.com and I have not "paid it forward" by helping another teacher, therapist, or home-school educator by purchasing a minimum of one item of at least $1.50, when a continued, repeated pattern of receiving without "paying it forward" occurs, Autism Educators, Inc., has the right to remove my Teacher's Wish List from the "Pay It Forward" program by providing 48 hours notice that such action may be taken. This will provide me the opportunity to keep the optional "Pay It Forward" concept in motion, if I so choose.